The Arizona personal injury attorney you choose will not only impact the outcome of your case, but will likely have an impact on how how stressful (or stress free) you find the sometimes lengthy litigation process. For these reasons, it’s important that you find the right Arizona lawyer to represent you. You might still be wondering if you need a lawyer or not. If your accident didn’t result in any injuries, you may not need an attorney. Though you should be careful when reaching the conclusion that you weren’t injured, as some symptoms don’t appear until days or weeks following the injury. Fortunately, most attorneys offer a free initial consultation. These consultations give you an opportunity to talk through the details of your accident and get a feel for whether the attorney thinks you have a legitimate legal case. Remember, personal injury attorneys usually work on a contingency fee basis. This means they don’t get paid if you don’t get paid. As a result, an attorney will generally tell you if they don’t think you have a good case. How do I locate a lawyer? Many good lawyers in Arizona do very little advertising and instead rely on word of mouth. When looking for an attorney, don’t hesitate to ask your family, friends, and colleagues. Often, a recommendation from someone you trust is the best kind of recommendation. Using Google or some other search engine to locate an attorney can be overwhelming. A better way to find a licensed attorney in Arizona is to use an online directory. One option is the free online directory right here on Enjuris. Another option is the Arizona State Bar Attorney Directory. Every attorney licensed to practice in Arizona is required to be listed in the directory. The Arizona State Bar Attorney Directory allows you to search for an attorney by practice area. Once you click on a specific attorney, the page that pops up will show you whether the attorney has any disciplinary history (i.e., instances where the State Bar of Arizona found that the attorney committed an act of misconduct). The page will also show you whether the attorney offers free consultations. You can find a list of certified specialists on the State Bar of Arizona website. There are a number of organizations in Arizona that provide legal assistance for free. Each organization has different eligibility requirements, but generally your household income must be less than 125% of the federally recognized poverty level. If you don’t qualify for free legal assistance, you may qualify for low-cost legal assistance through the Arizona Foundation for Legal Services & Education’s Modest Means Project. What questions should I ask an attorney I’m considering hiring? Some personal injury cases are resolved in a few months, but others can take years to complete. This means you may be spending a lot of time with your attorney. Much of this time might be spent discussing sensitive information, such as your medical history. The point is you don’t just want a good personal injury attorney, you want someone that you’re going to be 100% comfortable with. Enjuris tip: See our guide: Preparing to Meet with a Personal Injury Attorney. It includes a checklist of items to bring and also questions to be prepared to answer about your case. Arizona attorneys who handle personal injury cases often charge the same fee no matter how long they’ve been practicing. This means that a less-experienced lawyer isn’t necessarily a less-expensive lawyer. In the legal field, experience matters. You’ll want to find out how long the lawyer has been practicing as a licensed attorney in Arizona. 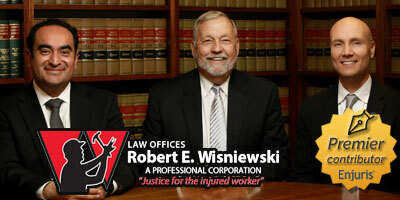 What percentage of your law firm is devoted to personal injury cases? If your sink is broken, you don’t hire a roofer to fix it. The same goes for attorneys. If you have a personal injury case, you’ll want to hire an attorney who spends most if not all of their practice litigating personal injury cases. You’ll also want to find out if the attorney has experience dealing with the same issues that are in your case, as personal injury law encompasses a broad range of subjects. Will I be interacting directly with you or someone else? A personal injury attorney won’t necessarily handle every aspect of your case. If you hire a senior attorney, they may have an associate who does a significant portion of the work. This isn’t a bad thing. A good attorney effectively allocates work in order to move your case forward efficiently. If another attorney will be heavily involved in your case, you should feel comfortable asking to meet with that attorney as well. Though there are a number of websites that rank attorneys, there’s no substitute for talking to real people about their experiences working with a particular lawyer. Don’t be afraid to ask the attorney to provide you with a couple of references. How much will you cost? Arizona personal injury attorneys generally work on a contingency fee basis. This means you won’t pay a fee unless you’re awarded damages. The fee is usually calculated as a certain percentage of the awarded damages. In Arizona, this percentage is usually somewhere between 25—35%. The Arizona Professional Rules of Ethics prevent attorneys from charging too much through contingency fee agreements. What constitutes “too much” varies by case. But, if you feel your attorney is attempting to charge too much, or otherwise behaving unprofessionally, consider contacting the Arizona Attorney/Consumer Assistance Program (A/CAP). The program is responsible for investigating claims made against attorneys. Enjuris tip: Read more about negotiating fees with an attorney. A contingency fee sounds great, but beware of exceptions and other complicated terms in your agreement.